We’ve all heard stories of large companies taking time off their schedules to organise charity events, and adopting causes and charities which they regularly fund. For example, Google and Apple are known to match employee donations ($21million and $25million respectively), and Microsoft had given out technology donations in 2014, ranging from computers, software and refurbished hardware to over 125 countries. Perhaps many see this corporate philanthropy as being done for PR purposes, and as a means of endearing themselves to the public, but there is no doubt that there are many individuals who actually benefit from these initiatives. Locally, we see large companies coming forth with generous donations, especially during well-publicised charity events on television. Offline though, local firms have been found to mostly donate to charity, but mostly “to the same few causes and on an ad hoc basis”. According to a recent report on The Straits Times, the results from a Corporate Giving in 2015 by the National Volunteer and Philanthropy Centre (NVPC) showed that out of the 800 companies polled, 75% of them donated in the last year, and have chipped in an average value of $20,000. 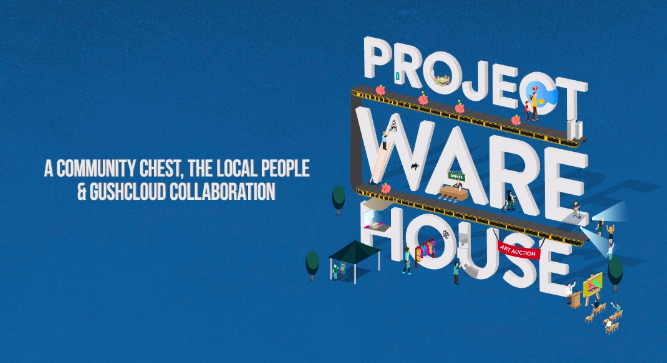 This is where local companies The Local People and Gushcloud, alongside Community Chest is coming in with Project Ware House. The 2-day fundraising will be taking place at the Esplanade’s latest venue, the Annex Studio, and will be a celebration of not only art, but also inclusiveness. Proceeds will go towards the Adult Disability Home (ADH) initiative by Community Chest, catered to Adults with Disabilities. This month’s segment targets Autism, a condition we’ve all heard about, but don’t talk about enough. Autism in children these days is easily detected due to advancements in technology, but that doesn’t mean that it didn’t exist previously. In fact, these individuals have now become adults, and without therapy available then, have grown up mostly depending on the care of their parents and caretakers – all of whom have also become older, and frailer. The Home would be a place where special facilities are built to help these individuals not only live comfortably, but also cope with their condition. Awareness of autism, and a wish to dispel common misconceptions is also the aim of the event. 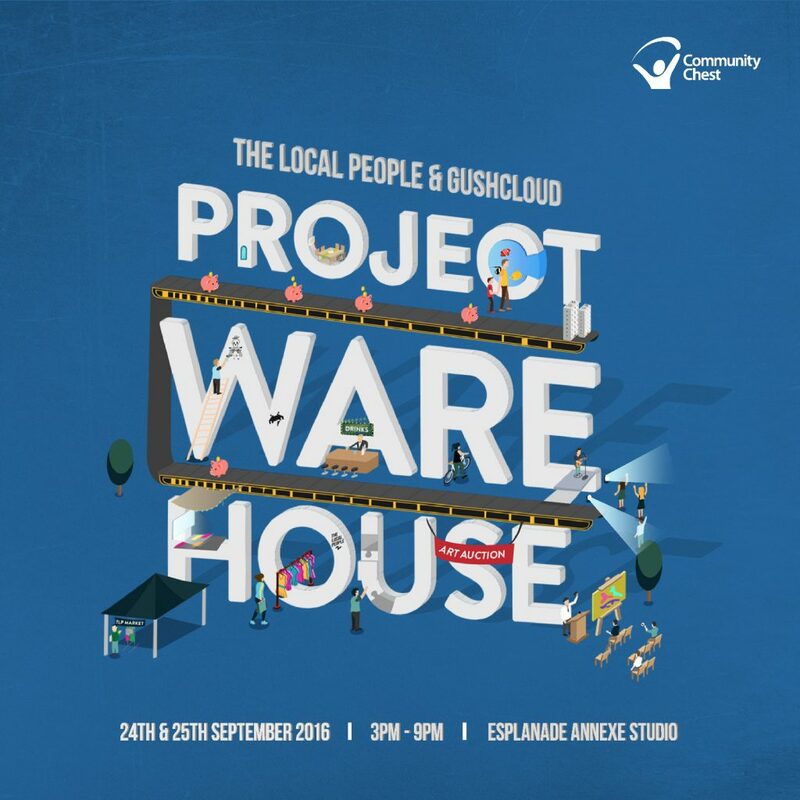 Project Ware House, happening on the 24-25 September weekend, would feature local artists and also artworks from the Cerebral Palsy Alliance. Activities for attendees include an art market, art auction and also a movie screening and live music sets – for those of you who prefer to sit back and relax. Donations would be collected before (via Giving.sg), during (via the ‘admission fee’, $10 for entry or $20 for entry and a personalised gift from Band of Doodlers) and after the event (via vendors giving a portion of their sales to ADH). Gushcloud, best known for their Influencer Marketing and Media focus, is no first-timer when it comes to charity. In 2014, they have helped 15 non-profit organisations and social enterprises. Having over 200 influencers under their management, all of whom are impacting the choices made by teens and young adults, it makes perfect sense that they use their network to activate more youth in these meaningful causes. The Local People has grown from their origins as an online store promoting under the radar Singaporean designers, artists and brands to a successful flea market and bazaar organiser who has worked with Government organisations like the National Heritage Board, Singapore Art Museum and the Singapore Land Authority. Their events have brought together Singaporeans from all walks of life, and have introduced them to the talent we have all around us. Thus, with Community Chest deciding to combining the forte of both Gushcloud and The Local People, we can only imagine the outreach the event will achieve. So, when was the last time you did something for charity?